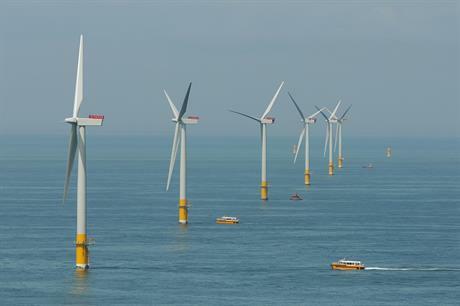 UK: Siemens Gamesa Renewable Energy will service SSE and Innogy's 504MW Greater Gabbard project off the east coast of the UK for an additional five years. The company will now carry out scheduled servicing, troubleshooting and technical support at the 140-turbine site until 2022. Siemens Gamesa had carried out operations and maintenance (O&M) services of its 140 SWT-3.6-107 turbines at the £1.6 billion (€1.795 billion) wind farm 23 kilometres off the Suffolk coast since it was commissioned in 2013. Servicing Greater Gabbard is the most recent of three service contract extensions awarded to Siemens Gamesa. It also secured ten-year service agreements for the 175-turbine London Array wind farm, and the 54-turbine Lynn and Inner Dowsing wind farms. These extensions bring the number of individual turbines monitored in real-time by the company's servicing arm in the UK and Ireland to more than 3,200 at more than 128 wind farms (onshore and offshore), with an output capacity of approximately 9.5GW.